***5-Night minimum stay SATURDAY TO SATURDAY REQUIRED. Inquire with us prior to booking online to assure dates are available. Downtown Aspen! Walk to ski lifts. Walk to shopping and everything Aspen has to offer. The Grand Hyatt Residence Club of Aspen delivers top-of-the-line personalized service and unending attention to detail midst the relaxed spirit of the Rocky Mountains. Unwind and refresh at the Member's Lounge. Feed your body at the high-vitality fitness room or take a dip in the pool. Gondola Resorts wants you to enjoy this magnificent 3-bedroom residence. The master suite has a king-size bed, adjoining bath, walk-in shower and spa tub. Two guest suites with full baths. Fully equipped Viking kitchen, spacious living and dining areas, multiple fireplaces, private balcony or patio and Internet. 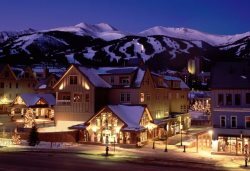 Located at the base of Aspen Mountain and walking distance to art, fashion, fine-dining restaurants, and more.